Many children may from time to time have difficulty with one or other part of school, education or learning. For most this difficulty will resolve itself. For some children extra support might be needed for a short time. For a very few children this extra teaching doesn’t resolve the issue and the barriers to the child learning continue. In these cases there may be a reason for a specific assessment or test to be made try and find out if there is a particular area blocking their progress. Where barriers to learning continue and are not tackled successfully school and parents might agree that the child has special educational needs. This means that their name will be added to a list held by the school of children whose learning and progress is given more attention and regularly monitored. We will continue to look for teaching solutions for their areas of difficulty. In the SEND Code of Practice the government say that children may have special educational needs where their learning difficulty or disability calls for special educational provision, namely provision different from or additional to that normally available to pupils of the same age. Children won’t be regarded as having a learning difficulty just because the language or form of language of their home is different from the language in which they are taught, or simply because they aren’t very good at something. Each school has someone whose special job is to try and make sure all those children with special needs are making progress. They are called the Special Educational Needs Coordinator or SENCo for short. 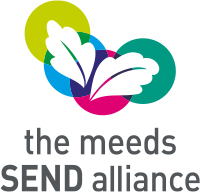 At London Meed School the Assistant Headteacher Mr Viinikka is SENCo, or Special Educational Needs Coordinator.